The St. Vrain Creek watershed (which includes Left Hand Creek) is critical to maintaining the health, biodiversity, character, and economy of communities within the region, including Lyons and Longmont. The creek is home to a diverse population of native fish, receives Colorado River transmountain water, hosts one of the country’s largest outdoor games, has its headwaters in Rocky Mountain National Park and the Indian Peaks Wilderness, and its confluence in a county that is the largest agricultural economic producing county in Colorado. 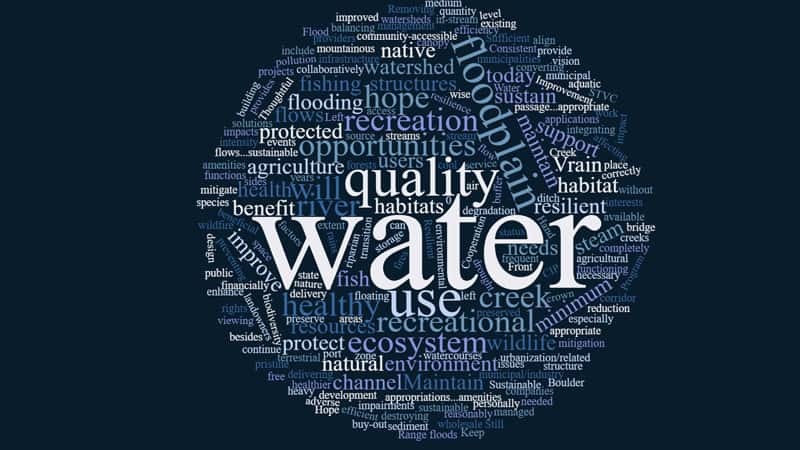 Further, the watershed has a diverse array of stakeholders that use and derive value from the waters including agricultural users, domestic water providers, and recreational users. Why do we need stream management? 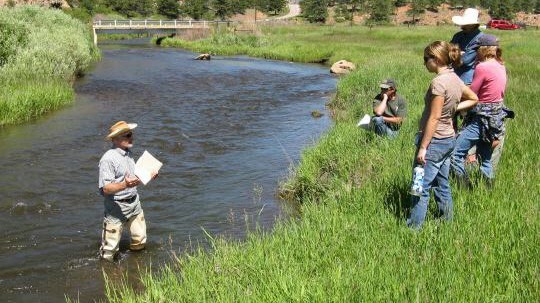 With such a wide range of uses and an intense focus of study, the St. Vrain poses an excellent opportunity to balance river health with water users’ needs through completion of a stream management plan. With few exceptions, St. Vrain and Left Hand creeks have historically been managed without a collective vision to maximize the river’s use while also balancing its health. 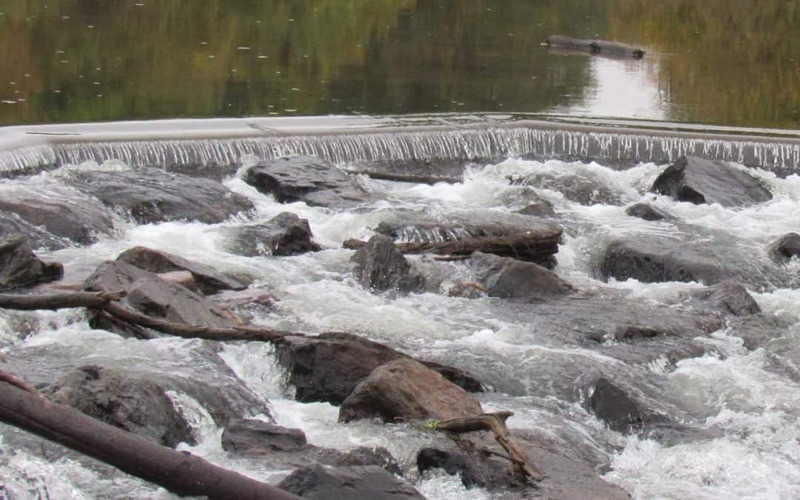 The September 2013 flood brought about a reenergized and expansive era of collaboration along with hundreds of millions of dollars for stream restoration. The collaborative flood recovery created a greater level of trust and partnership amongst water users, and many now want to transition to discussions of water management activities that can maximize post-flood projects to further benefit environmental, recreational, agricultural and domestic uses. A stream management plan appears to many stakeholders as a means to facilitate this transition. Colorado’s Water Plan’s (“CWP”) objective is to cover 80 percent of the locally prioritized lists of rivers with Stream Management Plans (“SMP”). CWP used the South Platte Basin Implementation Plan (“BIP”) to help inform this measurable objective. 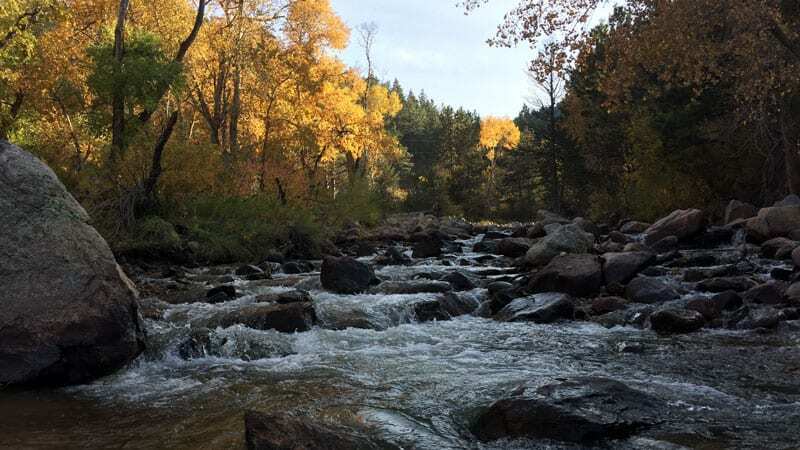 The South Platte BIP studied a reach of St. Vrain Creek for environmental and recreational opportunities and concluded streamflows may be present to achieve environmental and recreational outcomes. 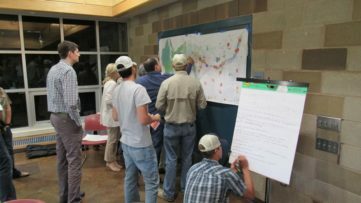 However, the BIP further concluded that significant additional flow information is necessary, that stream channel and fish passage modifications should be further analyzed, and voluntary operational flow agreements, such as those previously operated by the St. Vrain Corridor Committee, should be explored. Why is the District leading this? The St. Vrain and Left Hand Water Conservancy District was formed in 1971 to develop, manage and protect water resources in the Longmont area by providing cutting edge water education, acting as stewards for a very precious natural resource, helping people and governmental agencies find creative solutions to meet their water needs, fighting threats to local water supplies and protect existing water rights, and ensuring high quality water is available for future generations. 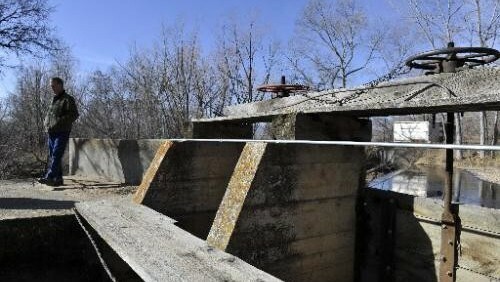 The District fought alongside other water users on a proposal designating the North St. Vrain Creek as Wild and Scenic. Concerned about restrictions and effects on private property and water rights, the District participated in a decade long process that resulted in a 1996 compromise amending the legislation that created Rocky Mountain National Park to include a prohibition on “construction of any new dam, reservoir, or impoundment on any segment of North St. Vrain Creek or its tributaries within the boundaries of Rocky Mountain National Park or on the main stem of North St. Vrain Creek downstream to the point at which the creek crosses the elevation 6,550 feet” (approximately the upstream terminus of Button Rock Reservoir). This compromise ensured environmental protections for the creek while preserving options for further water use in the future. In 2009, the District as a member of the St. Vrain Corridor Committee facilitated an effort to install gates within diversion structures to pass voluntary winter flows from Button Rock Reservoir to Longmont. This project was partially funded by a CWCB grant. Following the September 2013 flood, the District advocated for a collaborative approach to flood recovery. Working closely with federal, state and local partners the District played a critical leadership role ensuring the coalition was structured effectively to maximize flood recovery funding. For example, the District facilitated local stakeholders in the process of creating coalition bylaws and governance structure. Following the September 2013 flood, the District worked with FEMA and CWCB to design a method for ditch companies to receive funding. The work with FEMA lead to “Issue Paper #4” that provided 75% funding for ditch company diversions (which had never been provided in the past) and the work with CWCB lead to unique emergency loan and grant programs. 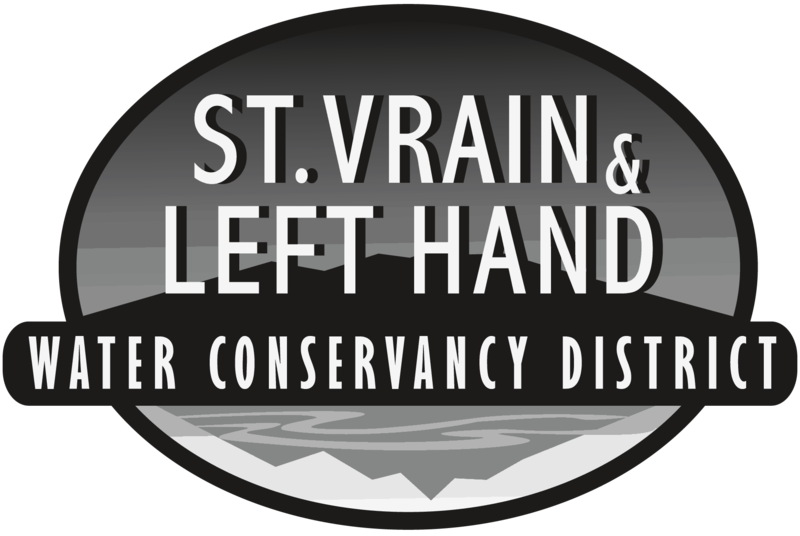 Following flood recovery projects, BIP completion, and in response to requests for leadership, the St. Vrain and Left Hand Water Conservancy District convened stakeholder meetings over two months to obtain feedback on: 1.) interest in pursuing a Stream Management Plan, and 2.) if the District should take the lead on applying for the grant. Through these face to face meetings, as well as one-on-one interviews conducted with the help of River Network, stakeholders agreed the District should have a leadership role and this grant could serve as an opportunity to transition our focus from flood recovery to water use strategies that benefit river health. What is the goal of this stream management plan? The overall goal of this SMP is to collaboratively identify projects and management strategies in both St. Vrain and Left Hand Creeks that transition stakeholders from flood recovery to stream health projects that improve environmental conditions in the river while also meeting water users’ current and future needs and are aligned with private property rights, public land and resource management plans, and the prior appropriation system. How will the District engage people and collaborate? This project will encompass South St. Vrain Creek, Middle St. Vrain Creek, North St. Vrain Creek, and the main stem of St. Vrain Creek to the confluence of the South Platte River, also including the tributary of Left Hand Creek upstream and including its tributaries James Creek and Little James Creek. The St. Vrain and Left Hand Water Conservancy District will lead the development of a SMP that will take place in two phases over approximately five years. Phase 1 is schedule for just over a year and budgeted for just under $300,000. The proposal can be downloaded by clicking the link below. Join the District’s email mailing list and stay up to date on recovery updates, master planning activities, and funding opportunities for the St. Vrain and Left Hand River basins.